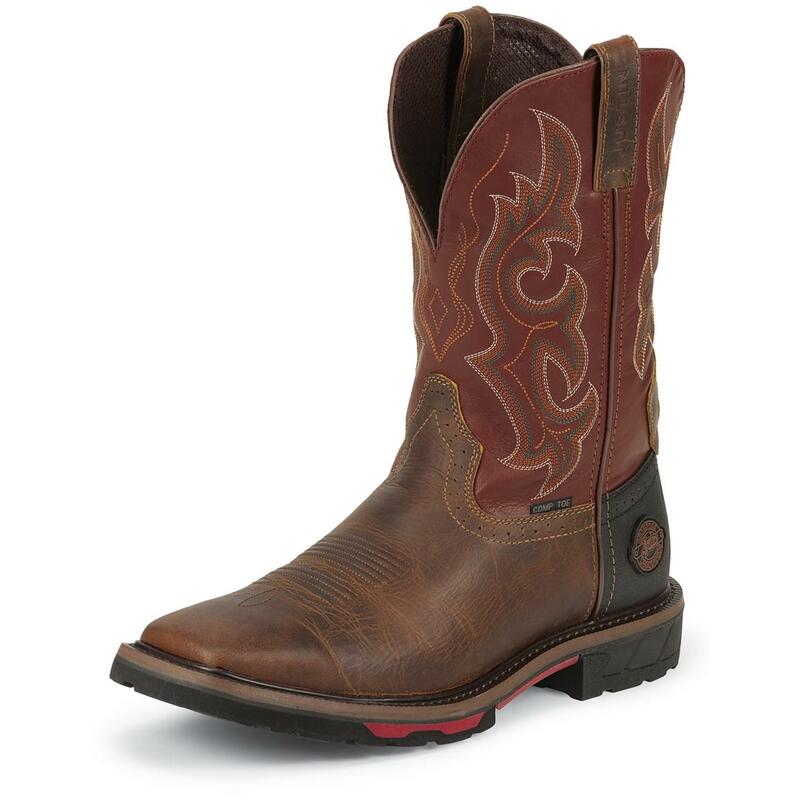 Men's Justin® 11" Hybred® Composition Toe Pull-on Boots keep your feet safe and comfortable on even the longest of work days. Whether you're working hard at the farm or in the field, these Justin® Boots will get the job done. They're constructed with a composition toe and meet ASTM safety ratings for electrical hazard, so you'll never need to worry about broken toes or electrical shocks. Plus, a multi-density rubber and EVA outsole provides top traction. And even though they're built tough, doesn't mean they aren't comfortable. Built with all of Justin's latest comfort technologies like the J-flex Flexible Comfort System® for a broken-in boot feel, an Ortholite® comfort form insole for unmatched comfort, and the Justin Stabilization Technology® to help absorb shock and keep your feet stable over roots, rocks and other debris. State Color; Width and Size, as available in the Shopping Cart. Order ONLINE Today!